Direct Coins is an authorised distributor for The Perth Mint, Royal Australian Mint and a member of the Australasian Numismatic Dealers Association (ANDA). Whether a small coin collector, large investor or just buying a gift, Direct Coins promises to keep you ‘front of mind’ at all times. 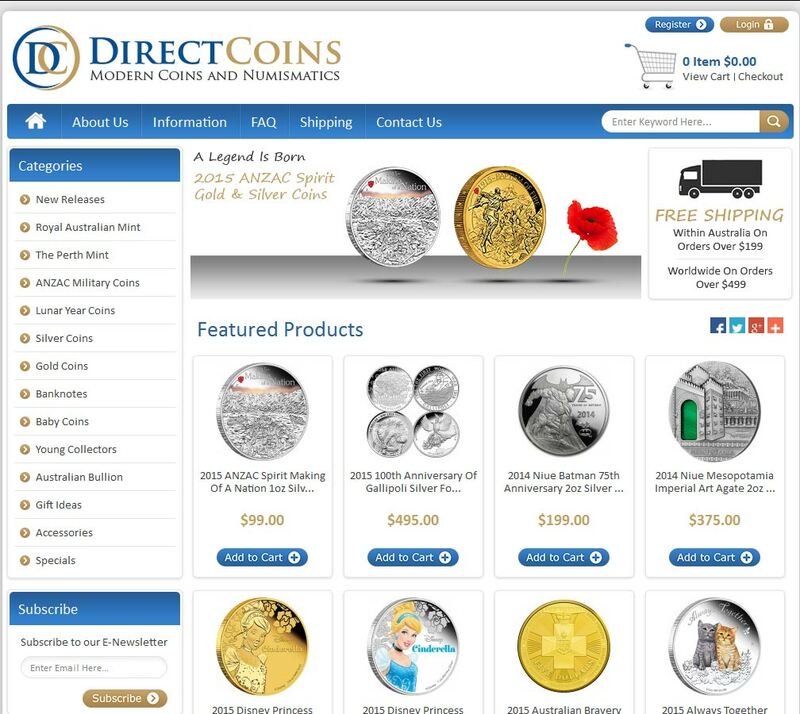 Direct Coins are a well known, established bullion and numismatic coin dealer trading nationally (free shipping over $199) and internationally through a well-stocked e-commerce website. With a good range of numismatic and regular bullion coins at competitive prices, Direct Coins are just as popular with investors and collectors. 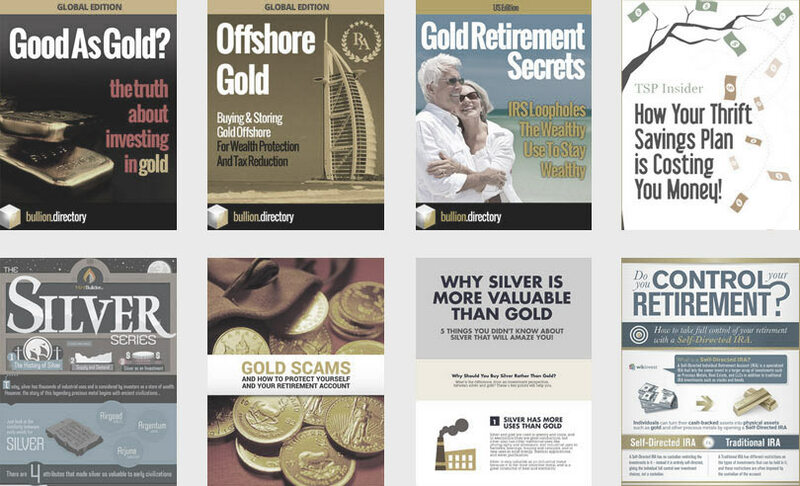 When doing business with Direct Coins - please say you saw them in Bullion.Directory. Read or add Direct Coins reviews and ratings using the "reviews" tab above. 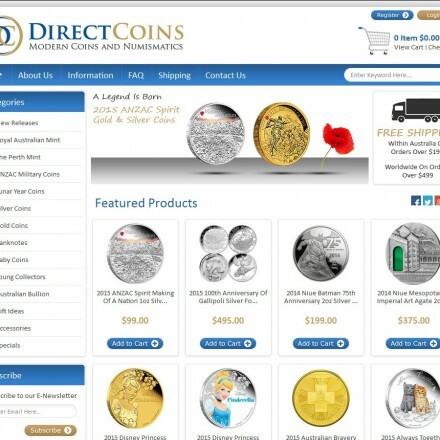 All Direct Coins details are believed to be correct at the time of listing. Please report errors here.